You don’t want to miss Cyber Monday! It’s the night before our BIG Cyber Monday Sale and we’re releasing our “never-been-so-low” specials to you, our Blog Readers, before the big event. Even though Cyber Monday is tomorrow we’re giving you a sneak peek! We are geared up for our busiest day of the year and it never disappoints. So stop by one of our walk-in locations or place your order online while this Cyber Monday Sale lasts! 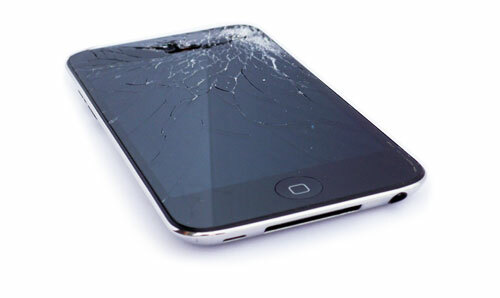 Now is the time to get that cracked screen repaired or non-functioning battery replaced. We have over 50 products on sale at 20% off with coupon code ‘BUYNOW’. This sale only lasts Monday, November 30th, 2015. Click here to see a list of specials that are 20% off on Cyber Monday (Coupon Code Required). . .happy shopping! If you have any questions regarding a repair service, contact us during our normal business hours at 1-844-459-0105 or email sales@missionrepair.com. See you tomorrow! Something I forgot to mention in my last post is our extend hours. To help you get back into the swing of things after that long weekend, we have decided to stay open an extra 2 hours today. 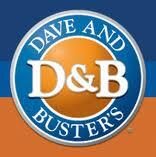 Thats right, we will be answering phones, repairing devices, taking orders and walk-ins until 7:00pm CST. We are open from 8am -7pm CST Today! When you do call or walk in, make sure to reference the Cyber Monday deals that I just announced and save some cash why don’t ya! So bring that iPhone 4S or Samsung Galaxy S III by and let us get you back to normal today! 1: Free Shipping on all repairs! If you have not heard, this is our newest offer to all of those those that are looking to save a few bucks this holiday season. You click the following link to learn more, but it is as easy as placing an order and picking the free shipping option! FREE SHIPPING ON ALL REPAIRS! 2: 12% off Cyber Monday coupon which is good for today only! The best part about this, is that these two deals work in tandem. Not only will you get free shipping, but throw a 12% coupon on top of that! Use code: cyber12 and save some money today! So ready or not, the busiest online shopping day is here! I know that I will be ordering a few things online today to take advantage of the great deals and looking at the deals that I just offered, I’m tempted to order something from myself here on www.missionrepair.com 🙂 Maybe I can preemptively order an iPhone 5 screen repair? Hello folks, yes we will have a Cyber Monday special at Mission Repair. What and when is Cyber Monday? Well I’m glad you asked. 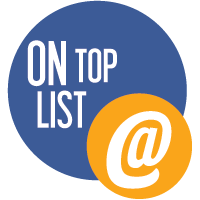 . .
It’s the biggest day of the year for most online businesses (such as ours!) and we’re happy to be a part of this Cyber revolution. 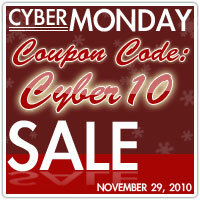 Since it’s a fun day to “celebrate” we’re happy to extend an amazing Cyber Monday coupon to get our customers excited. What is the coupon code? Not yet my friends, it’s a Cyber Monday deal! Check back with us soon! Holiday Hours and Christmas Party at Mission Repair! Hello everyone, can you feel the holiday approaching us. . .fast? I didn’t really let it register until all of the wrapped presents filled the tree last weekend at the Arter house. . .I don’t know why I waited so long but we ended up wrapping presents for several hours on Sunday. My son Casey has PLENTY and my daughter, Tayler, basically asked for cash – how do you wrap cash? In one card? Well that’s going to be a “quick” Christmas for her! Regardless, the quantity ratio is off, but it’s all about the giving right? I’m just looking forward to a couple of days off coming up and spending time with my family. So this week is our annual company Christmas party- and we’ve reserved the Midway Showroom at Dave and Busters in Kansas City (again) for our celebration! We’ll get 30 of us together, split up into a few teams and run the gauntlet of activities they provide. They then serve us a HUGE buffet of awesome food and drinks- and we always finish with my version of a White Elephant gift exchange. It’s actually a Mission Repair “Green” Elephant – I supply all of the gifts and hand them out in a game-show type fashion. It’s a highlight for me, always brings a bunch of laughs (last year one of the gag gifts was a pair of Santa Boxers and a Santa Neck Tie, it was a “complete” outfit!) and it got passed around and exchanged a few times – it was kind of like a hot potato! Mission Repair is CLOSED on December 24, 2010 and December 31, 2010. We will be working extra hard to get all of our shipments out this week before the holiday. . .however our biggest sales day of the entire year was yesterday (except for Cyber Monday) and it’s made our operations manager Troy, a little nervous. I’m totally confident. We’ll get the job done like we always do and we’ll be ready for 2011. Cyber Monday is here and. . .whoa, we are alive! Use coupon code “CYBER10” to get 15% off your entire order today and today ONLY. Need that Macbook repair? How about fixing an iPhone cracked glass? Remember all of our services (Including shipping!!!) are 15% off when you use this code today. Yeah, we get it.